The influence of the Mediterranean, the magical gaze, the portrait throughout history, the classical, the depiction of life and death in the Baroque period, the pietá, archetypes and rites are just some of the ideas behind this exploration of subjects that formed part of Picasso’s iconography, such as the bullfight, still-life, vanitas paintings, motherhood and rituals. Picasso’s South. Andalusian References provides a synthesis of Spanish art history, displaying works by Pablo Picasso alongside valuable archaeological artefacts and paintings by great Spanish masters, in an ambitious show that moves from Iberian art through Classical Antiquity, the Baroque, and ends when the Malaga-born artist had become a guiding figure to his contemporaries and the protagonist of an essential chapter in Spanish modern art. 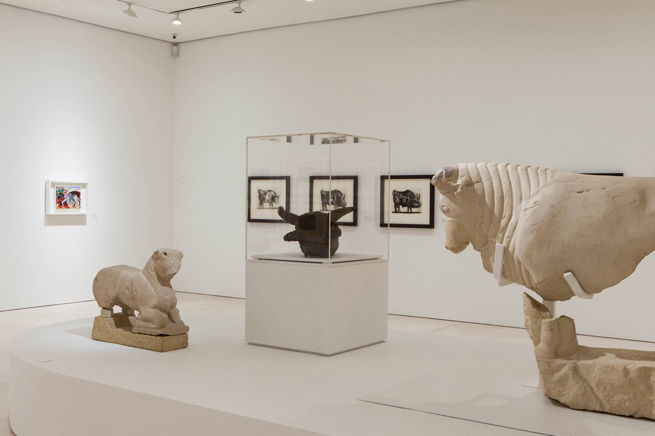 This exhibition explores the intellectual journey that Picasso made from south to north, using the symbolic heritage of his homeland to return somehow to his point of departure. It focuses on the profound imprint that Mediterranean culture left upon Picasso’s work and sets up a dialogue between a selection of works from his various creative periods and examples of Spain’s rich historic and artistic heritage, of which he was a great connoisseur. One of the aims of Picasso’s South. Andalusian References is to illustrate how the visual nature of his work bears features and qualities such as austerity and loss of faith that are akin to those in Spain’s own collective memory. These features are both tangible in the nation’s artistic heritage and present in the emotional expression of a people who have, artistically, been constructing a cultural identity over many centuries. In the specific case of Andalusia, it is clearly that of a melting-pot of three different cultures. 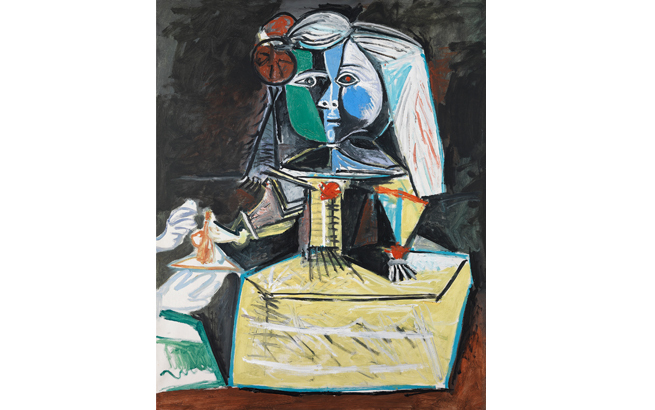 The exhibition is part of the international Picasso-Méditerranée Project led by Musée national Picasso-Paris and is sponsored by Fundación Unicaja. For the curator of the exhibition, José Lebrero Stals, Picasso was additive, cyclical, and loyal to the memory of an iconography that he appropriated by incorporating it into the very act of demonstrating his own alterity. He turned art history into his own personal “other story”. Lebrero Stals explains that the exhibition “constructs a game of double correspondence between an outstanding selection of works produced by Picasso over a period spanning seven decades, and the two-and-a-half-millennia history of Spain’s heritage, looked at in a different way”. The exhibition brings together a total of 204 pieces, with paintings, sculptures, drawings and graphic works by Pablo Picasso seen alongside an major collection of archaeological artefacts from the Iberian and Phoenician cultures and the Greco-Roman period, as well as paintings, engravings and polychrome sculptures by great masters of Spanish art such as Juan Sánchez Cotán, Juan van der Hamen, Francisco de Zurbarán, Diego Rodríguez de Silva y Velázquez, Alonso Cano, Antonio de Pereda, Bartolomé E. Murillo, Pedro de Camprobín, Juan de Zurbarán, Pedro de Mena, Luis E. Meléndez and Francisco de Goya. 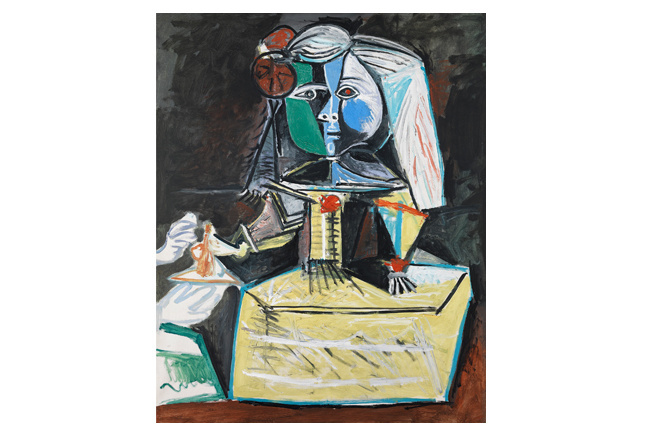 To conclude this historical journey, the exhibition inverts the roles, showing us a Picasso with the authority to take his own turn at influencing new Spanish art. The guitar acts as the thread linking works by his contemporaries María Blanchard, Juan Gris, Moreno Villa, Manuel Ángeles Ortiz and Ismael González de la Serna, in which the instrument is the iconographic motif. The exhibition even ends with music: Manuel de Falla’s Three Cornered Hat (Le Tricorne), a ballet set in Spain that premiered in London in 1919, with the collaboration of Pablo Picasso, who designed the set and costumes, and whose sketches are also on display in the exhibition. 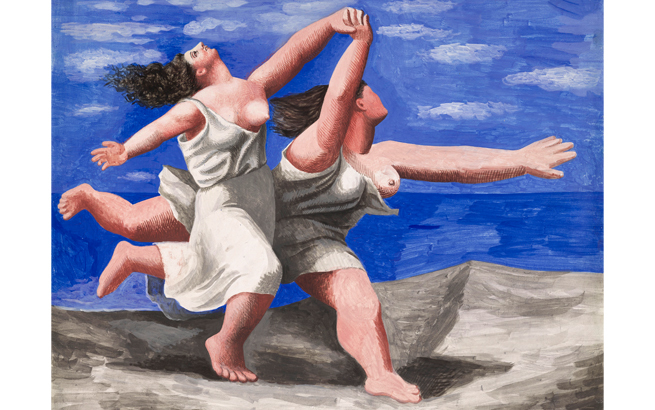 Picasso’s influence and contribution to the history of 20th-century western art is undeniable. It all began in the maritime city of Málaga, where he was born at the end of the 19th century and where, precociously early, he began a long artistic career that covered eight decades, and ended with similar creative exuberance beside the Mediterranean, on France’s Côte d’Azur. The exhibition uses several premises to support the idea that Picasso never ceased to be interested in the origins and traditions of painting, in much the same way as his migrancy bound him emotionally to his homeland, never shedding his loyalty to his cultural ties: Málaga, Andalusia and Spain were all part of his “southernness”, and not just in artistic terms. The influence of the Mediterranean, the magical gaze, the portrait throughout history, the Classics, the depiction of life and death in the Baroque period, the pietá, archetypes and rituals… These are just some of the arguments for examining subjects that formed part of Picasso’s iconography, such as the bullfight, still-life, vanitas paintings, motherhood and rituals, or his pictorial affinity with the masters of the Spanish Baroque, and which reveal diverse aspects of his strong identification with Spain’s artistic heritage and the novel way in which he interpreted it. The call of the South is also apparent in Picasso’s poetry. These free-flowing, spontaneous texts, which he worked upon for two decades as from 1935, contain numerous references to the South. A selection of these poems is also on display in the exhibition and they bear strong testimony to Pablo Picasso’s Spanish identity. Finally, visitors will be able to listen to Picasso’s voice, thanks to two interviews that a Spanish journalist recorded for Radio Paris in Vallauris for the artist’s 80th birthday. 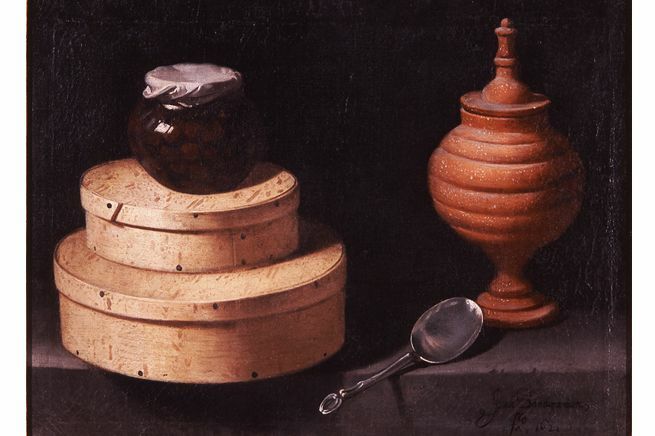 The exhibition has received the valuable cooperation of institutions that include: Musée national Picasso–Paris; Fundación Almine y Bernard Ruiz-Picasso para el Arte; Centre Pompidou; Fondation Beyeler; Kunstmuseum Basel; Musée des Beaux-Arts, Agen; Museu Picasso Barcelona; Museo Arqueológico Nacional; Museo Nacional Centro de Arte Reina Sofía; Museo Nacional Thyssen-Bornemisza; Real Academia de Bellas Artes de San Fernando; Colección Masaveu; Fundación Fondo de Cultura de Sevilla (FOCUS); Fundación Juan March; Fundación Bancaja, Valencia; Museo national d’Art de Catalunya; Museo de Zaragoza; Museo Nacional Arqueológico de Tarragona; Museo de Santa Cruz, Toledo; Colección de arte ABANCA; Colección Abelló; Colección del Senado, Madrid; Museo de El Greco, Toledo; Asociación Colección Arte Contemporáneo – Museo Patio Herreriano, Valladolid; Fundación Picasso Museo Casa Natal Ayuntamiento de Málaga; Archivo Manuel de Falla; Fundación Rodríguez-Acosta; Catedral Metropolitana de Granada; Museo de la ciudad de Antequera. Special thanks also to the Andalusian Regional Government’s Museum’s network: Museo de Almería; Museo de Cádiz; Museo Arqueológico de Córdoba; Museo de Bellas Artes de Granada; Museo de Huelva; Museo de Jaén; Museo de Málaga; Museo Arqueológico de Sevilla, and Museo de Bellas Artes de Sevilla; and also to the Artehispania Collection and other private collections. 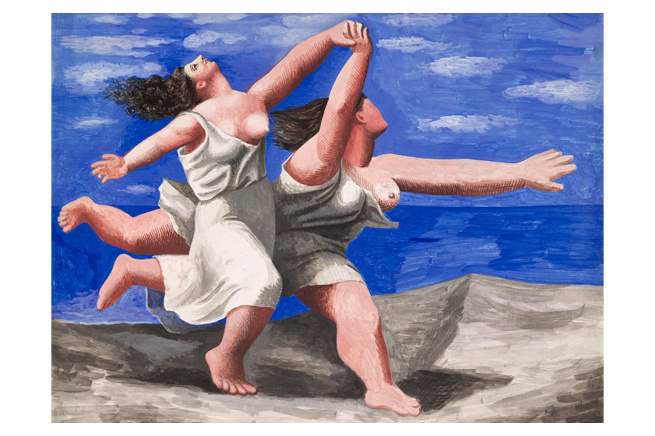 This exhibition is part of the Museo Picasso Málaga’s 15th Anniversary celebrations. Museo Picasso Málaga has published a catalogue, El sur de Picasso, containing an introduction by José Lebrero and republished essays by Robert Rosenblum, James Johnson Sweeney, Lisa Florman, Esteban Casado Alcalde, Francisco Calvo Serraller, William Rubin, Antonio Bonet Correa and André Breton, amongst others. The fully illustrated 400-page catalogue is available in both Spanish and English. As is customary, MPM will be organizing some special days devoted to the exhibition. The first of these, A Day in Picasso’s South, will be held on Saturday 27th October, 2018, with activities for children, families and adults. A second day devoted to the artist will be held on 2nd February 2019. This latest Museo Picasso Málaga exhibition will be the main theme of the Gallery Talks guided tours, which are held every Saturday at noon. To take part, simply register at the ticket office, as the tour is free with the price of admission. The museum’s Christmas workshops for youngsters aged from 4 to 15 will also be devoted to Picasso’s multi-disciplinary work. For the full calendar of activities for schools and the general public, as well as any other information on the exhibition, please go to the MPM website. 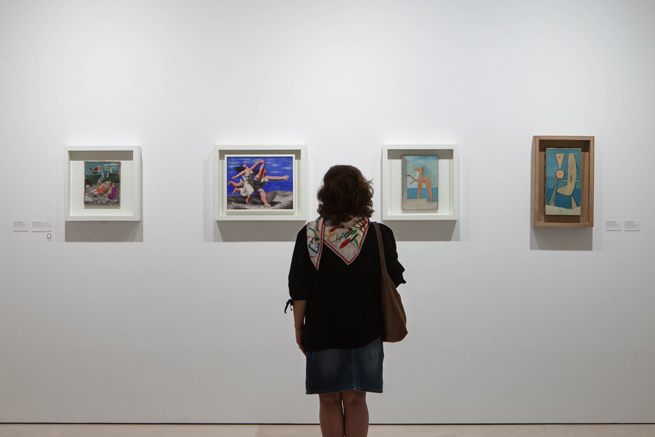 Activities for families and adults in a day dedicated to Picasso and the artists in the exhibition. CHRISTMAS WORKSHOPS "LET'S GO SOUTH!" For children and young people between 4 and 15 years old. Guided tours and art workshops on the works of the exhibition. See an excerpt of the exhibition's catalogue.